Mobile devices are the future. 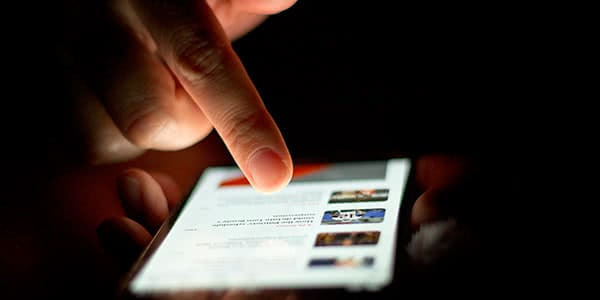 According to ABI Research, there are already upwards of 2 billion connected mobile devices worldwide — and by 2020 we’ll see a 300 percent increase to over 50 billion. As technology moves our computing further away from the tops of our desks and closer to the insides of our pockets, your business should consider how it plans to stay competitive among these irreversible tech changes. Many companies are quickly taking advantage of these trends with the inclusion of mobile devices in everyday use, which has already begun to revolutionize the way we work and do business. For most, a mobile strategy will undoubtedly be crucial for companies who don’t wish to be left behind. Whether or not a business takes a fast or slow approach to mobile adoption, it’s going to need a software solution that makes the use of mobile devices safe, secure and practical. The continuous mixing of one’s business and personal lives on the software, combined with the on-the-move nature of the devices themselves, can cause potential risks that must be addressed by any responsible business owner. It is here where mobile device management software steps in to referee what goes on your employees’ devices, and helps to make that leap a more practical undertaking. 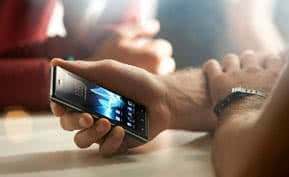 Below, we’ve compiled the key features of mobile device management in order to give business owners a better idea of what to look for when choosing a solution for their business. It’s important to determine whether or not your mobile device management supports BYOD, CYOD or both. Each type of solutions comes with its own benefits and drawbacks, so take these features into consideration when choosing a solution that best fits your business style. “Bring your own device” simply means that your employees are allowed to bring in their own smartphones or tablets, and connect them to your business’s infrastructure and information directly. This option comes with the benefit of having the freedom to not only pick from a wide selection of devices, but for your team to stay up to date with the latest models and innovations. Unfortunately, this type of solution will draw heavily on your IT resources as they attempt to keep up with a continually changing series of devices, and places more responsibility on the users themselves. While people certainly prefer the convenience of combining their professional and personal lives on one machine, a “choose your own device” option is going to offer better control and security over your system. With a CYOD solution, all devices are provided by your company in order to avoid fragmentation between operating systems, and to ensure your security standards are complied with. This type of solution takes away the freedom that comes with a BYOD solution and trades it in for a more secure approach to mobile management. However, you might find your employees connecting with their own devices anyway or using unapproved applications, so even though these types of systems are undeniably safer, they don’t necessarily ensure complete control. For maximum productivity, you want your users to be comfortable and familiar with the devices they’re using. Having the freedom to support multiple operating systems on your mobile device will ease some of the stresses of device management, especially if you wish to employ a BYOD platform. A system lacking in compatibility will often create friction, as individual users tend to prefer different systems and devices. Whether you or your employees are making the decision, giving your business the flexibility to choose between the OS of choice is going to make things run more smoothly. Some employees require higher access than others. As such, having the ability to delegate access according to the user will be essential in making sure that the right people are getting to the right information. The best mobile device management solutions offer complete control over privileges to sensitive company data and applications, and make the process completely customizable. An important feature to look out for is the ability to classify users according to their status, and to make changes on the fly to an entire group or individual. If your employees aren’t taking the exposure of your company’s data seriously, then you need to be. According to an industry study conducted by Osterman Research, 15 percent of enterprise employees believe that they have “none to minimal” responsibility to protect company data stored on their device — and that 10 percent don’t even have a password or lock enabled. A good mobile device management solution will offer a strong set of these basic security features, which can be customized to suit your particular needs and mandated on all devices. This type of security wall is going to help protect your data in face of even the most extreme negligence. You’re also going to want a mobile device management solution that includes the ability to lock, wipe or reset mobile devices in case they get lost or stolen, as well as the ability to locate that device or recover its data remotely. These failsafes will ensure your data’s integrity in the event of any breach, misuse or slip-up, whether from inside the company or not. In addition, detailed web management is strongly recommended. Preventative tools such as URL blocking on all connected mobile devices are going to help keep your sensitive data away from any potential risks. 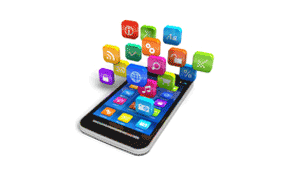 Being able to easily expand the number of mobile devices in your ecosystem is critical for a growing business. If you hire a new employee, getting him or her outfitted and up to speed on the mobile device culture should be a smooth and simple process. The best mobile device management solutions are not only equipped to handle the needs of your growing company, but are designed to do so from the ground up. As with any good software solution, strong reporting capabilities should be included so that you can get an accurate view as to how your system is working and what can be improved. Real-time, actionable intelligence will empower you to make the best decisions possible, which might ultimately end up saving you time, money and resources. An easy-to-use reporting system that cultivates and organizes your analytical data can prove to be indispensable in a strong mobile device management solution. If you’re ready to start comparing your options, head on over to our Top 10 Mobile Device Management Report for the best resource in town.